Rich & refined. 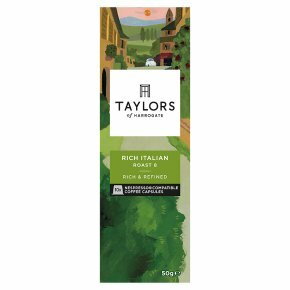 This coffee is roasted to a: medium - 8 - extra dark.Rich Italian Capsules Ciao Amici - this elegant coffee takes you to the cobbles of Northern Italy. Inspired by the local roast style, it delivers rich flavours of dark chocolate and almond. It's seriously refined and dazzling after-dinner.